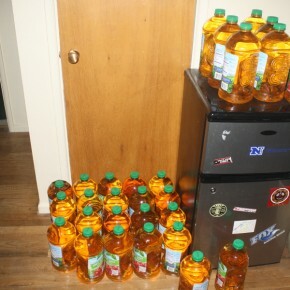 We used much, much apple juice. 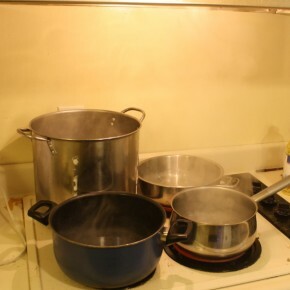 Four pots of sugar-water boiling. Only time I will use a range. 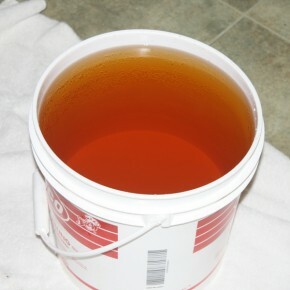 One of the 4-gallon experiments. 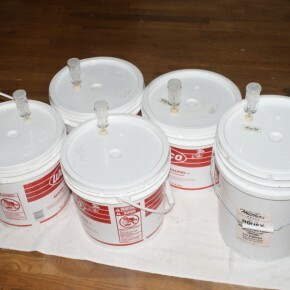 Four 4-gallons and a 5-gallon, beginning to ferment. 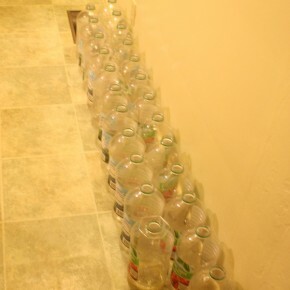 All the empty bottles, sitting in a row.